High School Sailing is a 2 season co-ed sport, active in both the spring and fall. Practices are held after school throughout the week, with regattas held on weekends. Sailing is flexible with other sports. No prior experience is necessary to join and represent your school. 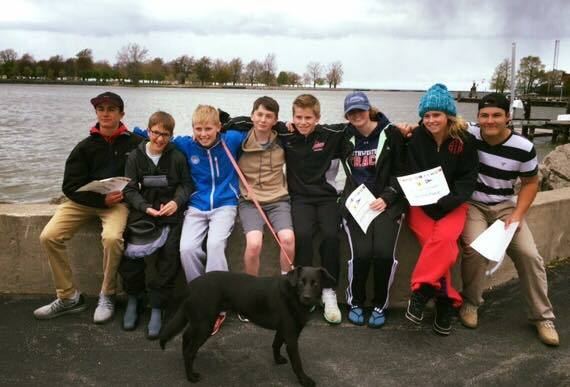 4 sailors make a full team, and mixed teams (sailors from different schools) can still compete in many regattas. If you are not sure about competition but interested in learning to sail, we also welcome you to join us at any of our practices on the water, get on a boat, and see if sailing is the sport for you. Our teams compete in the ISSA (InterScholastic Sailing Association) which is divided into 7 districts. The state of New York, along with Pennsylvania, New Jersey, Delaware, Maryland, Virginia, and West Virginia, compete against one another to form the MASSA district. If you are in one of the surrounding local school districts and interested in starting up a team, please contact us! 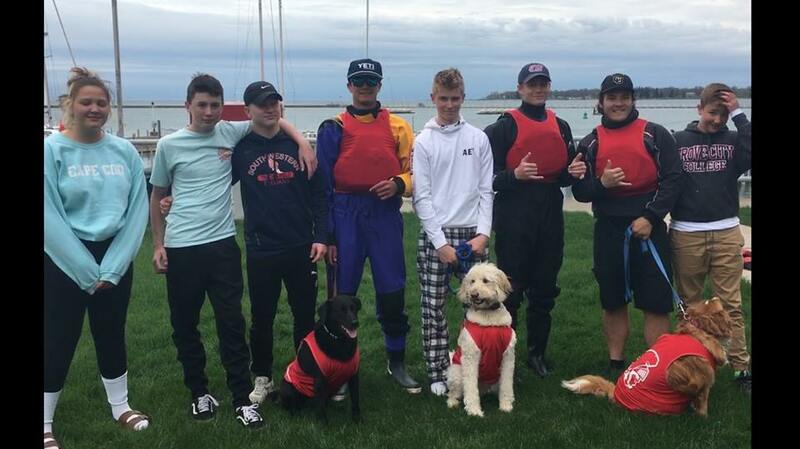 Local high school students participating in racing instruction, with weekend regattas competing on the local, regional, and potentially national levels. No skill level required. Students will sail in Z420s, a 2-person boat, and learn the basics of sailing as well as safety, rigging and de-rigging, righting an overturned boat, terminology, and sportsmanship. Observation of practices is welcome to anyone interested in testing out the sport, so please come on down and join us! Congratulations to all of our hardworking sailors to make our first year a smashing success. Great job to our Southwestern Teams who took 1st! Another fantastic fall season.